One of my professors in college was really old. I can hear everyone asking: “How old was he?” (No, his social security number wasn’t 7 …) Let’s put it this way: he was the founder of the college at which I was studying (Multnomah in Portland, Ore.), and the school was celebrating the half-century mark of its founding while I was there! In fact, Dr. John Mitchell was over the age of 90 when he taught the two classes I took from him. He continued to teach well into his mid-90’s. Not surprisingly, he was getting forgetful about some things by the time I had him as a teacher, but what he definitely was not forgetting were the Bible verses he had memorized. His ability to recall Bible verses was astounding. I do not know this for a fact, but I would guess that he had all of the New Testament and large sections of the Old Testament committed to memory. 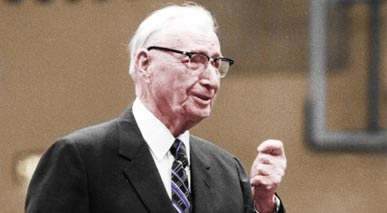 All of his students were profoundly impacted by his immersion in the Scriptures. 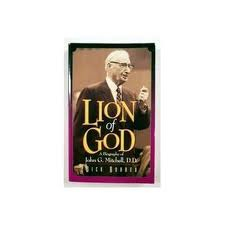 Dr. Mitchell’s comments that day were a helpful turning point for me in my own commitment to memorize the Scriptures. I had already tackled some large chunks of the Bible and committed them to memory, but the process of getting there had been rather painful. Rote memory (“look at the verse, cover it with your hand, look into the air and try to quote it by memory, uncover the verse with your hand to see what you missed, fix whatever mistakes you made, try again”) was hard work, and the results were not always satisfying from a long-term, remember-what-you-memorized standpoint. After that single conversation with Dr. Mitchell, I changed tactics. From then on, before traveling down the “rote road,” I would read the passage I wanted to memorize 50 times out loud with great emphasis. Then – and only then – I would try the rote method. (1) I discovered that I had already memorized most of the passage I was trying to learn before I ever really started to try to memorize it. (2) I found out that the process of reading a passage over and over again in-and-of itself became a wonderful means of God working his grace in my life. I wasn’t just learning words, I was thinking about where the passage was going. God used it to help me understand the passage better, to think about its implications in my life, and to impact my actions and affections. (3) I discovered that this process helped immensely in holding in my long-term memory the passages I had memorized. It is a far better process for retention. So, why don’t you try it yourself? Here is a summary of the process. STEP 1: Begin by selecting a passage of Scripture that takes approximately 15 minutes to read out loud. Here is a short list of New Testament passages that would fall into this category that also would probably yield you a lot of personal spiritual fruit: Matthew 5-7; John 14-17; Romans 6-8; Philippians (all); Colossians (all); 2 Timothy (all); Hebrews 11-13; James (all); 1 Peter (all); 1 John (though this one is tough because of how cyclical it is). STEP 2: Read your passage through once or twice a day aloud. Keep track of how how many times you have read it through. STEP 3: Once you have read it aloud 50 times, then try to rote memorize it. Keep working on it faithfully until you can get through the entire passage by memory. STEP 4: Quote through it at least 25 times without looking to fix it in your memory. An additional step you can take that would ease the process would be to read your passage onto a digital recorder and listen to it whenever you can as you drive, walk, cook or wait for something. Your own recorded voice will work a little better than someone else’s voice, since it will match the intonation of your daily oral readings, but you can use a prerecorded section if you prefer. I’ll close with this thought: If you started today, red aloud through Philippians once a day for 50 days, spent the following 15 days doing the rote-memory thing, reviewed for another 25 days, you could have all of Philippians memorized in three or four months by only spending a relatively painless 15 minutes a day doing it. Wouldn’t that be amazing? This column [adapted] above was first published in thegoodbookblog.com on January 28, 2012 & again in the Biola University Magazine, Spring Edition 2012, 39. About the Author: Ken Berding is a professor of New Testament at Talbot School of Theology and the author of several books, most recently Walking in the Spirit (Crossway, 2011). He holds an M.A from Talbot, and a Ph.D. in hermeneutical and biblical interpretation from Westminster Seminary in Philadelphia.